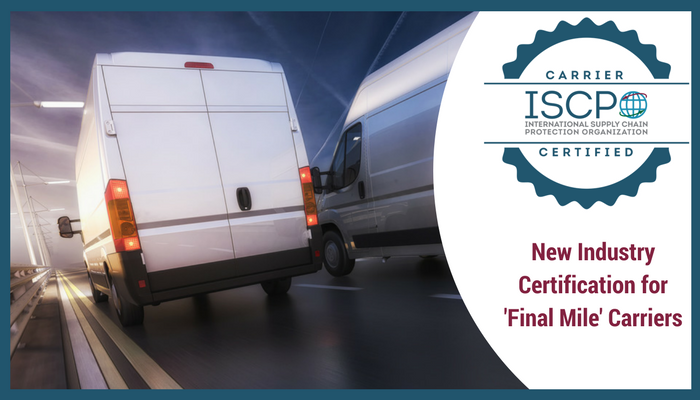 We’re pleased to announce a ground-breaking, industry certification for “final-mile” carriers: ISCPO Carrier Security Audit & Certification Program. The ISCPO has defined various security standards necessary to ensure the integrity of goods flowing through one’s extended supply chain. The Carrier Security Requirements is a document that is fundamental for all “final-mile” carriers and provides the standards most relevant to the risks or losses suffered by businesses today. Acknowledgement and adherence to these Carrier Security Requirements are the basis for certification. Our goal is for these requirements to be adopted by a majority of Final-mile or Regional Carriers as well as the organizations that contract with them. By embracing these standards, the benefits to both parties are numerous but most importantly the Carriers can stand behind one set of requirements without having to manage various customer programs differently within the same space. It sets the Carrier up for success by reducing wasteful time and expense from the operation. Third-party logistics carriers can apply for the certification that recognizes their commitment and compliance of industry standards, risk management processes and universal controls between customer and service provider. Congrats to USPack Logistics, Innovative Courier Solutions, STAT Delivery Services, NEWKIRK Logistics, NOW Courier, Inc., Associated Couriers, INC. and LaserShip, INC. on their certifications. 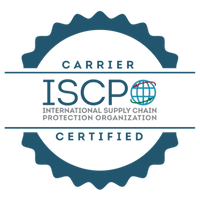 We encourage all carriers to step up and get ISCPO Carrier Certified. Note that the process and due diligence isn’t time-consuming and is no cost to maintain integrity. It’s a solid program that aligns your internal security program with industry standards.